Opening with the Chigorin shows your intention to play for a win right from the outset. After 2...Nc6 Black’s pieces fly into the game putting pressure on White’s position from a very early stage. This opening is ideal for the type of player who strives for an unconvential yet attacking game right from the start. Named after the 19th century Russian Grandmaster, Mikhail Chigorin. Chigorin was one of the only top GM’s to prefer knights over bishops, showing the inconvential nature of the opening. The Chigorin has also been employed by a number of modern day mavericks: Alexander Morozevich and Richard Rapport being two notible names. This DVD will take you through all the things you need to know in order to play this opening in a fun and exciting way. 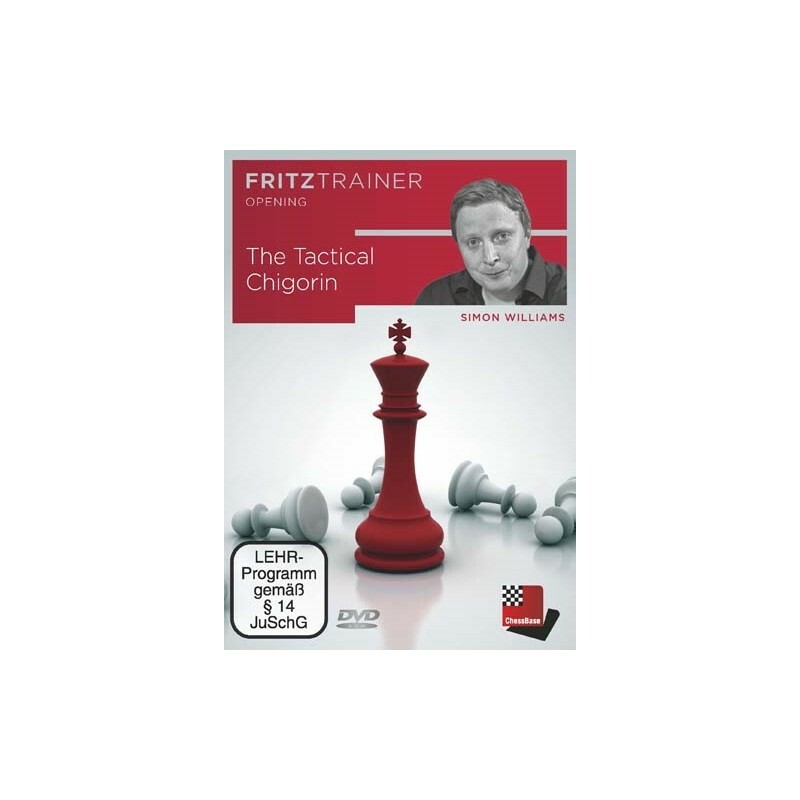 Simon Williams describes all the main concepts that you will need to know; so even if you forget the actual moves you will have the right reasoning already imprinted in your mind. 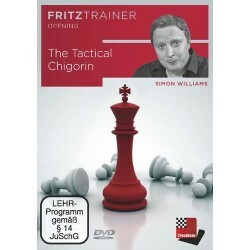 There is lots of fun to be had with this DVD, and you will also be a stronger player after watching.